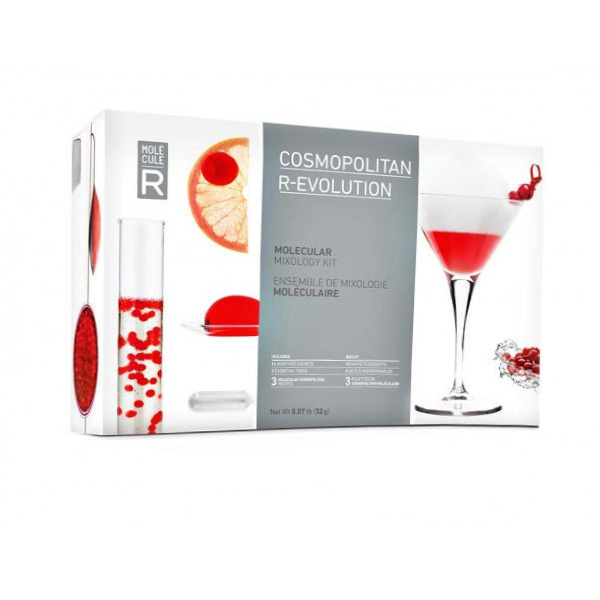 The classic cosmopolitan or “Cosmo” is given a molecular twist with this kit by Molecule-R. If you thought drinking cocktails was fun – then try eating them! 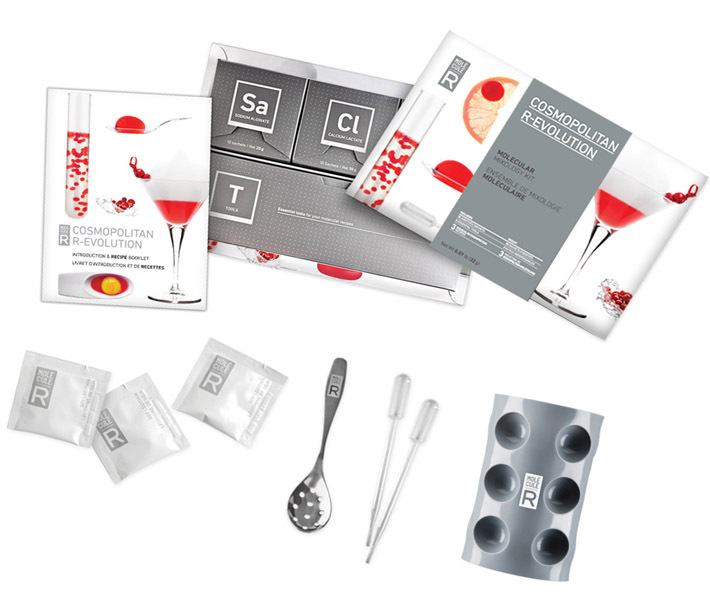 The Cosmo Kit gives you the equipment and ingredients to rec-create the cosmopolitan cocktail in the three different forms. The kit is simple to use with precise, clear instructions and diagrams that you’ll be able to follow even after you’ve sampled a few of the creations! This unique kit allows you to make Cosmopolitan Pearls, Cranberry Mousse and zingy Citrus Caviar using all of the components of the classic Cosmo but in much more exciting ways. In case you don’t know what molecular mixology is… it is the art of re-creating cocktails with a modernist twist, playing with textures and forms, whilst retaining the original flavours. The Cosmo Kit is a great introduction for novice bartenders because it contains everything you need to get started. The “molecular ingredients” which are key the creative magic all come from natural sources and plants. 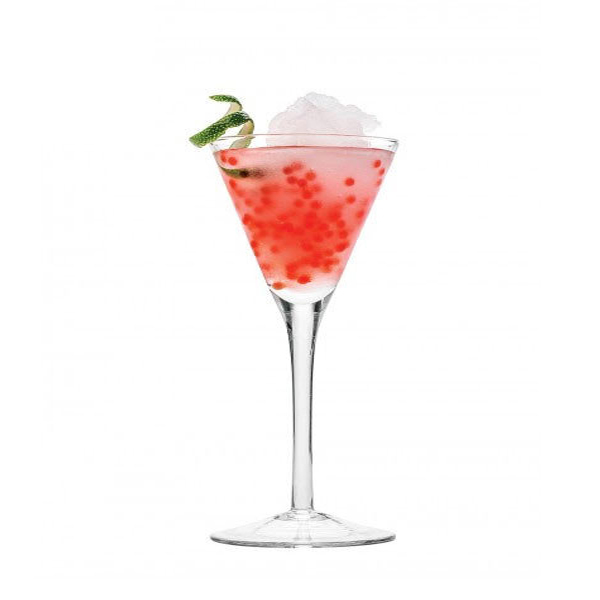 They help the usual Cosmo ingredients of Lime, Cointreau, Vodka and Cranberry turn into gels, pearls, caviar and foams without altering the taste. 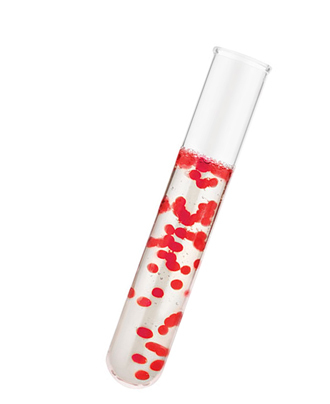 The classic cosmopolitan or “Cosmo” is given a molecular twist with this kit by Molecule-R. If you thought drinking cocktails was fun – then try eating them! The Cosmo Kit gives you the equipment and ingredients to rec-create the cosmopolitan cocktail in the three different forms. The kit is simple to use with precise, clear instructions and diagrams that you’ll be able to follow even after you’ve sampled a few of the creations! This unique kit allows you to make Cosmopolitan Pearls, Cranberry Mousse and zingy Citrus Caviar using all of the components of the classic Cosmo but in much more exciting ways. In case you don’t know what molecular mixology is… it is the art of re-creating cocktails with a modernist twist, playing with textures and forms, whilst retaining the original flavours. The Cosmo Kit is a great introduction for novice bartenders because it contains everything you need to get started. The “molecular ingredients” which are key the creative magic all come from natural sources and plants. They help the usual Cosmo ingredients of Lime, Cointreau, Vodka and Cranberry turn into gels, pearls, caviar and foams without altering the taste. Reverse Spherication: This molecular mixology technique creates bubbles of cosmopolitan held in pearl spheres that can be eaten from a spoon, the sensation as you roll them over your tongue before biting down to “pop” them releasing a Cosmo explosion is something unique. Caviar: A process of forming caviar sized balls in this case they’re made from cranberry, so contribute the sweet, fruity element to the Cosmo and float elegantly around the glass. Emulsification: A fancy word for making whipped foam. 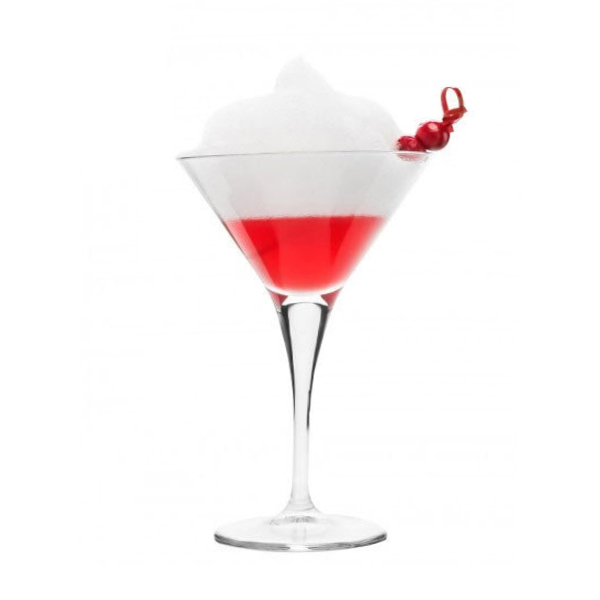 Create cranberry foam to float on top of the Cosmo as you build the drink, it looks sophisticated and contributes texture and taste to the drink. All three of these techniques are standards of the molecular world and can be adapted to many recipes for both cocktails and food. The Molecule-R Molecular Cosmopolitan Kit shows the way and gives you the practice and the ingredients – but once you’ve mastered it then how far you go is up to you. 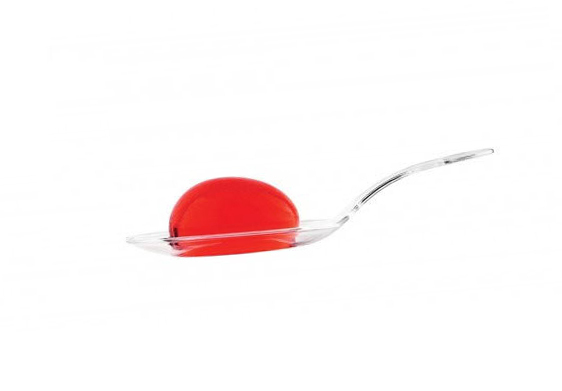 Equipment: Slotted spoon, 2x pipettes and silicone mould. Recipe Booklet: Clear, easy to follow instructions with a diagram. The traditional topping of the flamed orange is worthy of a molecular twist even if it isn’t part of the kit. The end of the video below shows you how, but basically slice a 10p sized piece of peel from an orange, hold a lighted match next to it and gently fold it in the air above the surface of the Cosmo – this will release bitter, zesty citrus oils over the surface drink… and never, ever, ever drop in a glace cherry unless serving the cocktail to children! !